Beacon Trade & Tool has made every effort to make this site as accessible as possible. If you wish to improve the accessibility of the site further please click Accessibility version link on the menu. sds drill bits are drill its that have been specifically made for a drill that is equipped with a slotted drive system and can also be known as a slotted drive shaft. This system is most commonly found in a hammer drill and has been uniquely designed to allow a sliding motion to occur in the chuck of the drill to increase the performance of the hammering action, meaning that it cuts onto masonry better and faster. The drill bits were originally created by Bosch in 1975 under the name of Steck Dreh Stitz or Insert Twist Stay, but was international referred to as Special Direct System. There are a number of different type drill bits they are all pretty standard and change in size, they are available in 4 different sizes. The sizes range from 5 to 30 millimetres in diameter and 110 to 1000 mm in length. The primary purpose of this drill bit is in masonry drilling, its increased efficiency in hammer drills is a quicker and more efficient way of drilling. Beacon Trade and Tool was established in 1988 we originally started trading from a little unit in the Black Country until over a period of time the business grew and it wasn’t long before it gained a reputation for fast, efficient service at competitive prices this allowed the business to grow rapidly this means we can offer an expanded range of products. We have become a one-stop shop and no order is too large or small we are always more than happy to help. All our staff are friendly, efficient, offer a fast service and are available to give advice when required. We work closely with some of the larger building companies throughout the UK and offer a next day service. If you would like more information about sds drill bits then please call us today and speak to one of our friendly expert members of staff, call us on 0121 544 0055. Alternatively contact us via email at paul@beacontrade.co.uk . We aim to respond to all of our emails as quickly as possible. 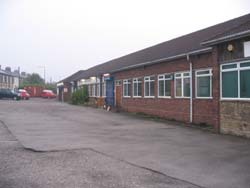 We are situated in Oldbury in the West Midlands.